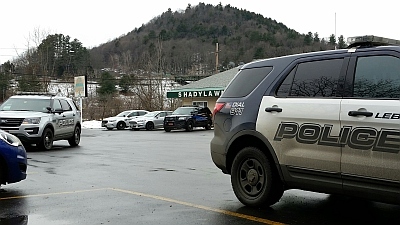 Hartford, Windsor County, Vermont, January 20, 2017 —- Justin Hatch aged 28 from North Haverhill NH was arrested overnight by patrol officers for his involvement in the robbery of two (2) convenience stores in Wilder Village earlier this week. 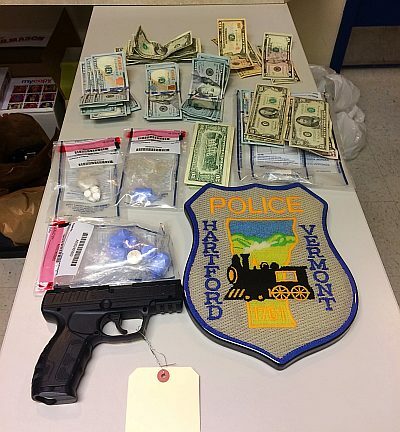 On Sunday morning, January 15, 2017 at approximately 1:00am Hartford Police responded to a 911 call reporting an armed robbery at the Cumberland Farms located at 1167 Hartford Avenue. The initial investigation revealed that a white male, approximately 5’6” tall wearing sneakers, dark pants, a brown hooded jacket, ski mask and gloves entered the store displaying a handgun and demanded money from the cashier. The man fled the scene on foot with an undisclosed amount of cash. On Tuesday evening, January 17, 2017 at approximately 8:30pm Hartford Police responded to a 911 call reporting an armed robbery at the Wilder Smart Shop (Mobil) located at 906 Hartford Avenue. The initial investigation revealed that a white male, approximately 5’4” tall wearing sneaker boots, cargo pants, a gray jacket with hoodie and green under jacket, and gloves entered the store displaying a handgun and demanded money from the cashier. No one was injured during the robbery and the man fled the scene on foot with an undisclosed amount of cash. Surveillance video in both robberies showed the man handing the clerk a bag to fill with cash. A review of video from the Wilder Smart Shop (Mobil) showed the man fleeing on foot toward Wilder Street. During their investigation, patrol officers followed the suspect’s footprints in the fresh snow and found evidence the man boarded a waiting vehicle. Further, witnesses reported seeing a silver sedan with light colored registration plates drop-off a passenger in the same area. On January 19, 2017, a Hartford Officer patrolling North Main Street (Route 5) near the Urban Bridge stopped a silver 2016 Ford Focus sedan for failing to yield before entering traffic on North Main Street. The sedan was displaying white New Hampshire registration plates. During the stop, police learned the vehicle’s operator, Justin Hatch, was wanted on an active warrant for Forgery in Orange County, Vermont. While processing Hatch on the arrest warrant, police observed that his shoes appeared similar to foot print impressions collected from the scene of the Wilder Smart Shop (Mobil) robbery. Through further investigation, officers learned the shoes belonged to a second man, Travis Popp aged 29 of Hartford. Late this morning, Hartford Police assisted by law enforcement officers and investigators from the Vermont State Police Tactical Services Unit, Lebanon and Norwich Police Departments served search and seizure warrants on separate rooms at the Shady Lawn Hotel where Popp and Hatch have been residing. During the search, investigators recovered additional evidence linking Popp and Hatch to both robberies including a black pellet pistol. Consequently, Hatch was arraigned on several offenses including armed robbery this afternoon in Windsor County District Court and was remanded without bail to the Southern State Correction Facility in Springfield. Popp was located later by Lebanon Police at a West Lebanon shopping center and is currently being held on an unrelated New Hampshire arrest warrant for theft. Charges related to Popp’s involvement with both Wilder armed robberies are pending. 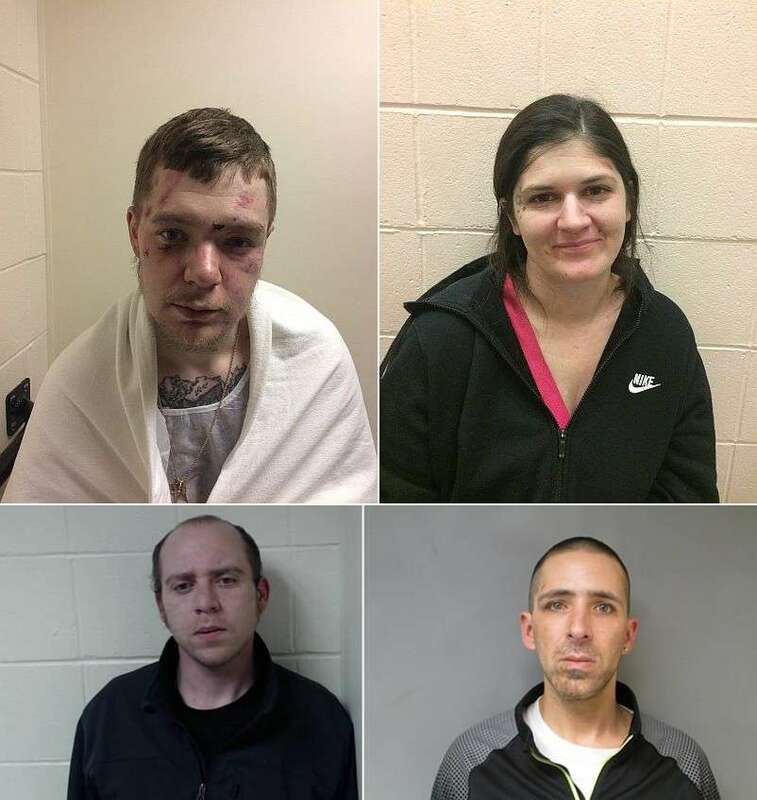 During execution of the search warrant, police also found New Hampshire fugitive Aaron Butler aged 28 and his wife, 31-year-old Kerri Butler, who were in possession of more than 80 grams of suspected heroin and $16,000 dollars cash. In addition to fugitive charges related to a New Hampshire warrant for violating his parole condition, Aaron Butler and his wife are currently being processed and will be charged with heroin trafficking and other related offenses.